Anantagiri is located along the Eastern Ghats at the top of the Elysian Tirumala Hills which is about 17kms from the Araku Valley in the Visakhapatnam district of Andhra Pradesh. It is supposed to be one among the best places to unwind your tension in the perched hills with its panoramic vista that unfolds stunning viewpoints. The drive to the hill through striking coffee plantations with its twists and twirls on the Ghat route is enriched with mango groves, waterfalls that gush and flow into the ravines. It still remains unexplored and do not have the influence of a buzzing city environment thus attracting nature lovers and tourists from different parts of the country. This is also known as the summer resort place of Vizag.River Musi floods the Anantagiri Hills making it an irrigable land. Anatagiri is situated on the Eastern Ghats that form the natural boundary between Andhra Pradesh and Odisha and to its east lies the hills of Anantagiri. History dates back to Anatagiri as one of the enchanting place besides its invigorating or refreshing climate, thick forests, and orchards. There are legends which says this Elysian Tirumala Hills was once recommended to Lord Vishnu for his temporary residence.Anantagiri hills is also referred as Markandeya Kshetram as an injunction of Lord Brahma, Markandeya opted this peaceful and inspiring hills for his penance. The ideal time for making trips to Anantagiri Hills is between the months of March and October when the weather is pleasant and mild. 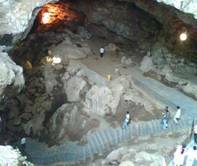 Tourists coming to the Anantagiri hills can go in for Trekking, Camping and if interested can go hunting for underground water spring with the help of a guide. There is spot at the edge of the hill, where you can stand and see the beautiful sunrise. Apart from this if you are interested in wild life getting slightly into the woods will help you see a lot of wild rabbits running around, exotic birds and if you are lucky peacocks. 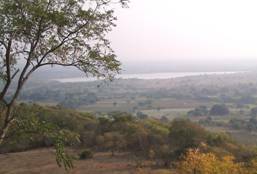 The entire Anantagiri Hills has a lot of vintage viewpoints that offer enthralling views that will capture your heart. Amongst the variety of flora in the forests of Anantagiri are many medicinal plants and herbs which are used by patients. Though several swift streams flow through Anantagiri, it is the river Musi or Muchkunda that originates from Anantagiri. This temple is century old and was built by a Muslim king which is another reason that bears testimony to the glorious history of the land. The Bhavanasi Lake that flows across the Anantagiri Hills is also known as Badrinath of South India. Araku Valley, 115-km from Vishakhapatnam district of Andhra Pradesh is close to the Odisha State, border. This valley attracts people with pleasant weather, hills and valleys. The natural beauty of this valley comes alive with its rich landscape. 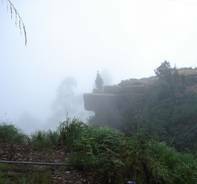 The area of the valley is roughly 36-km and the altitude is between 600 and 900m above the sea level. This place is located a few kiometres away from Anatagiri which of historical and religious importance. The Borra Hills are a million years of age and are beautiful and splendid. The natural limestone deposit at the Anatagiri Hills is unique of its kind. The 25km stretch of road literally hugging the coastline from Visakhapatnam to Bheemunipatnam has a view that is simply breathtaking. Bheemunipatnam known as Bhimli is the second oldest municipality in the country. The captivating symbol of Vizag that charms the young and old alike is the headland Dolphin's nose. At 358 metres above sea level, with a lighthouse atop the hill, Dolphin’s nose is aptly named. 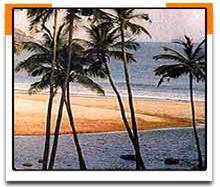 This beach is just 8kms from Vizag and has golden sand and surf with sea and has hill cottages overlooking the grand ocean. There are no foreign embassies located in Anantagiri, but the nearest one is in New Delhi. There are Hotels, Inspection Bungalows, and Private Cottages available to suit all types of budgets at Anantagiri.Apart from there are good hotels in the nearby city of Visakhapatnam. Visakhapatnam Airport is the nearest airport. 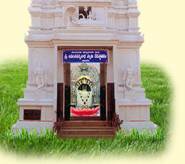 The nearest railway station to Anantagiri hills is at a distance of 3km at Srikakulam. The railway line of the Eastern Ghats is famous for being one of the highest broad gauge tracks in the world. The hill resort of Anantagiri is well connected with Hyderabad, Vishakhapatnum and other cities by buses. The State Transport and other services provide the buses. Hill resorts in India can provide you with All India Tourist Permit private cars and taxis to take you to Anantagiri hills.